While the 2016 offseason featured plenty of players moving around and filling voids for teams, it also meant that a few players who deserve starting spots likely won’t have them this coming season. Even with free agency aside, when you look across the NFL, there are quite a few key weapons who really shouldn’t ride the pine anymore. While there’s usually a good reason for them to sit out (like a star player in front of them), this doesn’t mean they belong on the bench. These six players won’t be traded before the 2016 season, but they all have strong arguments for getting more playing time and being a starter. We had to pair these two together — it wouldn’t be right otherwise — as they’re both heading back to the bench in 2016. With a healthy Jamaal Charles, it’s understandable why neither of them are starting for the Chiefs, but both players stepped up beautifully when Charles went down with an injury last season. West finished up the year with 160 attempts for 634 yards and four touchdowns, while Ware had 72 attempts for 403 yards and six touchdowns. 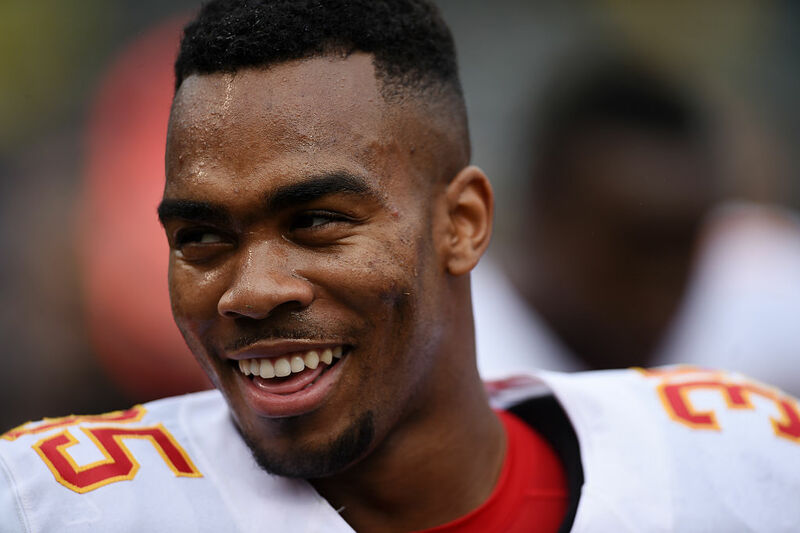 Together, the two of them made a pretty strong backfield, and it made sense why the Chiefs chose to sign both of them to contract extensions this offseason. It seems that Kansas City is prepared for life after Charles, whenever that may be. While there were some mixed reviews from Williams’ rookie campaign at times, you can’t deny the fact that this guy has a knack for finding the end zone. He scored nine total touchdowns last season, while averaging 5.6-yards-per-carry as well. The problem? He saw just 93 carries as he was stuck behind LeSean McCoy on the depth chart, and he also dealt with some injury issues. Regardless, Williams is just 23 years old, and he has tremendous upside. It wouldn’t be the slightest bit shocking to see him wind up as a starter sooner rather than later, but with McCoy locked into a contract through 2019, Williams’ opportunity to start may have to come with a different team. Wide receivers are tough to call “bench players,” especially in this situation, but one thing that’s certain is that the decision by Tennessee to sign Rishard Matthews will definitely hit Green-Beckham’s value in 2016. Kendall Wright will likely remain the starter opposite of Matthews, which means that DGB will take a backseat as the No. 3 receiver. Yes, he will still see plenty of playing time, but we’re technically going to call him a “backup,” because that’s basically what he is at this point. It’s tough for Green-Beckham, as he had a pretty productive rookie season, catching 32 passes for 549 yards and four touchdowns. He had two 100-plus yard receiving games, and both came over the last five games of the season, so it’s obvious his upside is there and he’s coming along well. Green-Beckham should be on the field, and hopefully he can find plenty of time this coming season. It had to be a little brutal for Sims, in all honesty. This offseason it seemed as though Doug Martin may leave town, which would open the door for a full-time workload for the third-year back. Sims improved massively from his rookie season to his sophomore campaign, increasing his yards-per-carry from 2.8 to 4.9, while rushing for 529 yards, catching 51 passes for 561 yards, and scoring four touchdowns. Sims has a role in the Tampa Bay offense, but he has a strong argument for why he should be the No. 1 running back in town. Instead, the Buccaneers re-signed Martin to a five-year deal, meaning that it may be Sims who leaves town eventually before Martin does. What a strange, strange situation Coleman finds himself in. After being named the starter and getting 20 carries in Week 1, an injury allowed Devonta Freeman the chance to start, and we all know that he took that opportunity and never looked back. This left Coleman looking at no more than four carries in any game where Freeman was healthy — but there was still opportunity for Coleman later in the season. 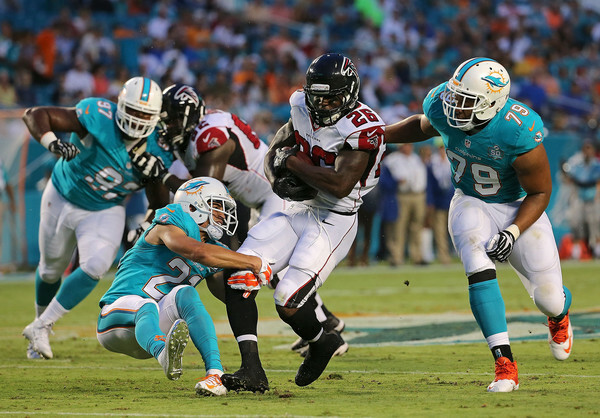 Freeman unfortunately suffered a concussion, which meant that Coleman was asked to carry the load. While he wasn’t great in the first game against the Indianapolis Colts, in the next game against the Minnesota Vikings, he saw 18 carries and finished with 110 yards. When the 2015 season came to a close, Coleman had averaged 4.5-yards-per-carry, with 392 yards and one touchdown. The upside is obviously there, but as long as he’s behind Freeman, he probably won’t start. It’ll be interesting to see how this plays out over the coming year or two. Duke Johnson Jr. certainly didn’t have the best rookie season rushing the ball, as he finished with 104 attempts for 379 yards (3.6 yards-per-carry). For most rookie running backs though, it will take some time to get acclimated to the NFL. Fortunately, Johnson made up for it in a big way with his receiving abilities, catching 61 passes for 534 yards and two touchdowns. It’s not even so much that the 22-year-old running back from Miami has completely earned the starting role, but the Browns badly need playmakers too. Should he start over Isaiah Crowell? Yes, he should. Crowell hasn’t been bad in his first two seasons, but he hit a decline in 2015, as he saw more carries, but had a worse yards-per-carry average and scored four fewer touchdowns as well. Don’t be shocked if Johnson gets more work in 2015 and slowly gets pushed toward the starter role.